Some information about choosing, buying and mixing epoxy. 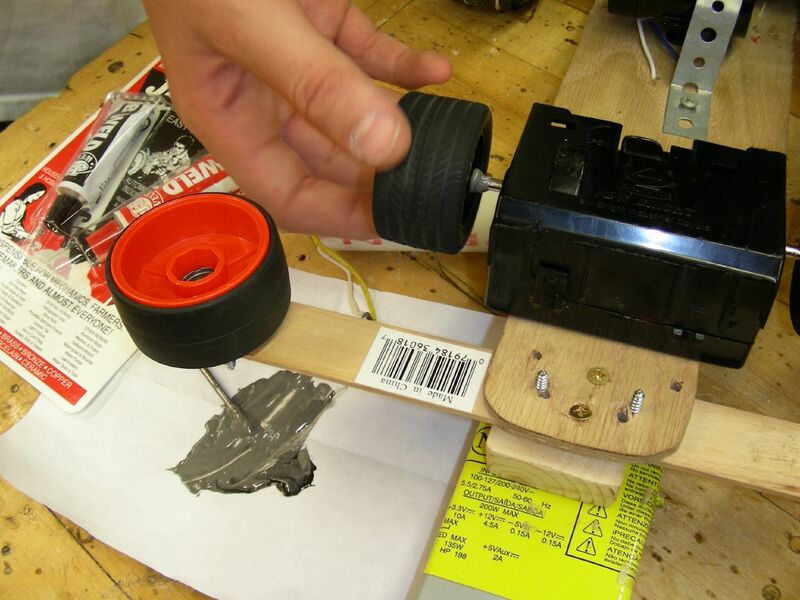 030 - Nick Created a Hoverboard! 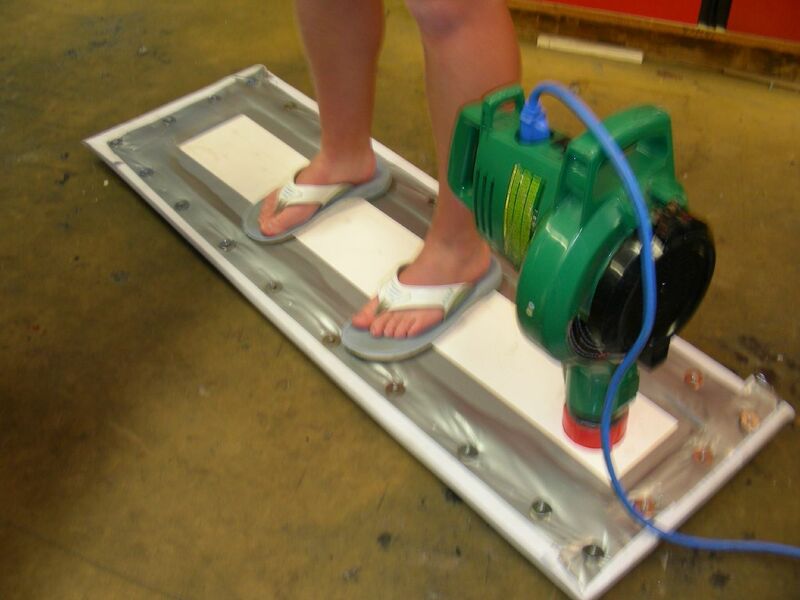 Listen Now - 030 - Nick Created a Hoverboard! This audio file cannot be edited in audacity, so it is left unedited as a wav file. Ideally, it should be shortened towards the end. There is probably an extra minute or two of riding noises. It needs to be wider for stability. The skirt material is a painting drop cloth from home depot. He bought a big sheet of it and just used a bit of it. Other than that, everything was just stuff we found around the shop. Here's a recording of how it went during one class. The audio is a little rich on the trumpeting sounds, of air escaping the skirt, but most of the details about the design are on the recording. 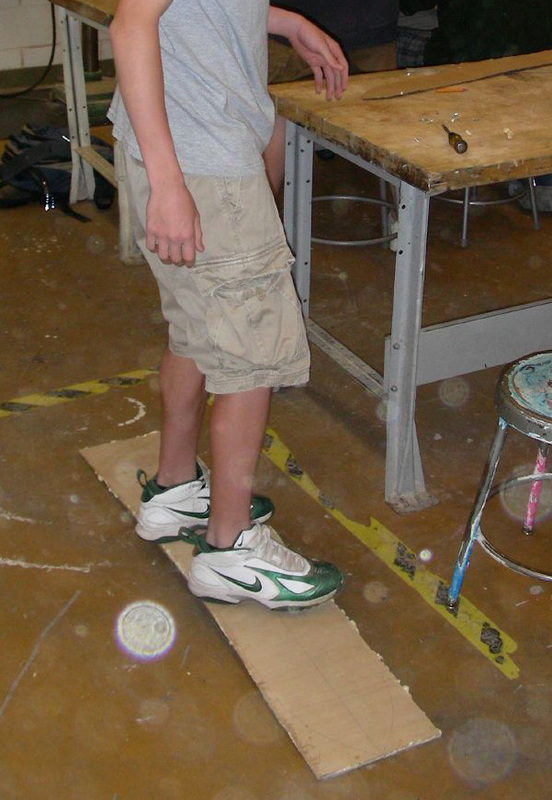 Max, Tim and Taylor built a bunch of skateboards and longboards as part of their Engineering class. Here they talk about making the designing the boards, testing them, riding them and selling them to their friends. They are members of the 2005-2006 Level One Standards Based Technology and Engineering class at Duxbury High School. 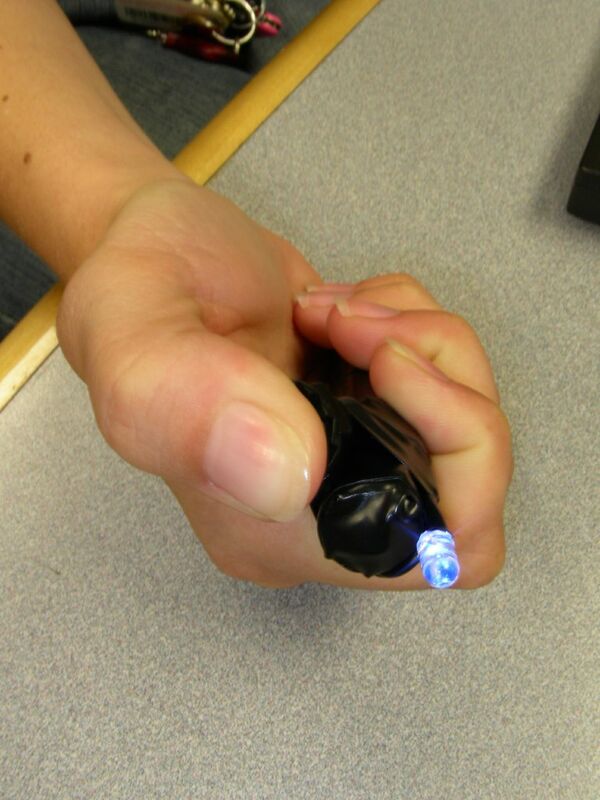 The curriculum for the class came from the Boston Museum of Science and was in the Field Test phase of development. 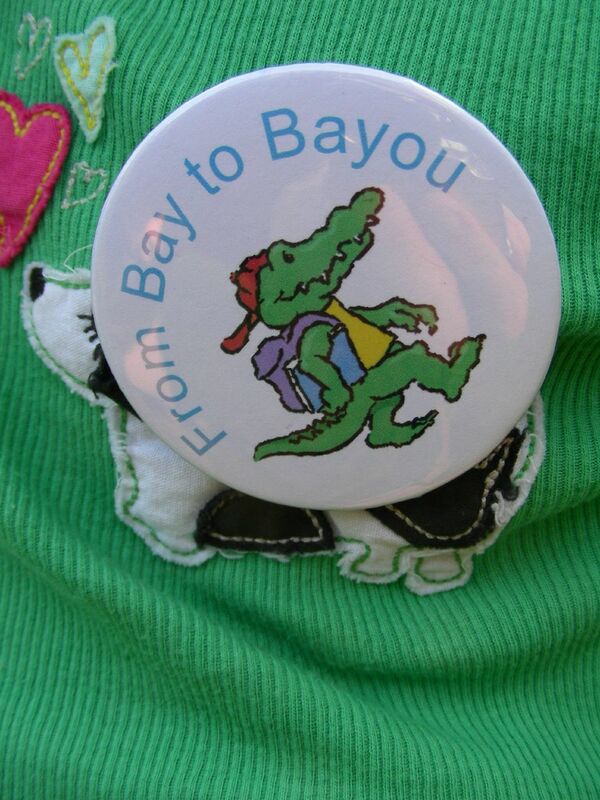 Elaine Winquist introduces the Bay to Bayou project to benefit the libraries of Cameron Parish LA. In the summer of 2005, Hurricanes Katrina and Rita destroyed the four libraries of the parish. 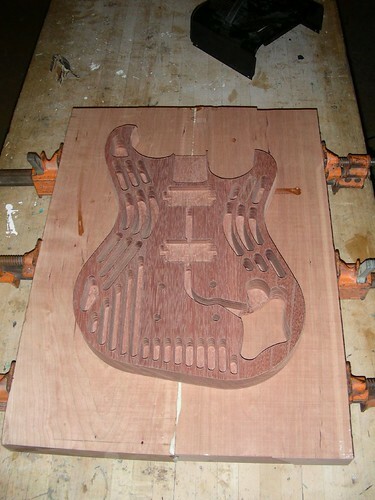 Alex had a lot of fun working on the Shopbot making guitars and stuff. Here he explains his process for getting his design exectuted in CNC. Next year he will be a Freshman at UMass Amherst in Mechanical Engineering. 026 - Henry Makes Air cannons! 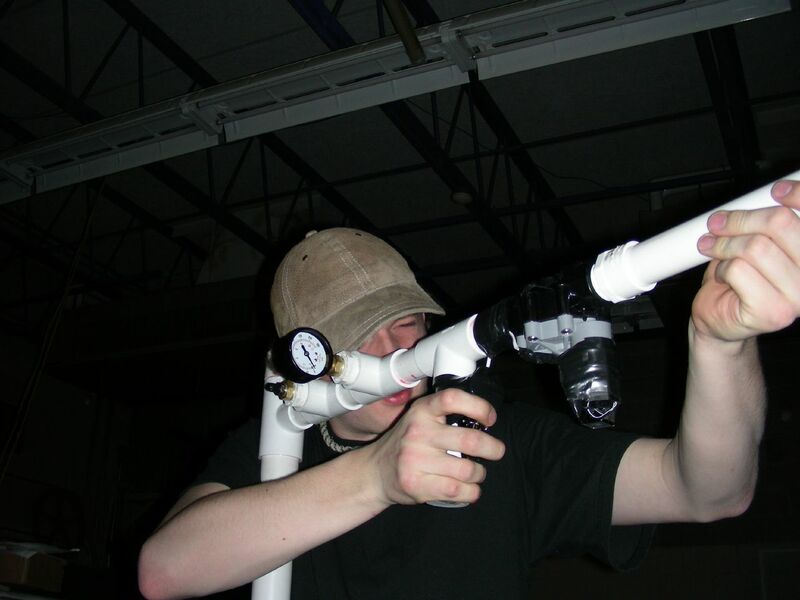 Listen Now - 026 - Henry Makes Air cannons! Henry has a taste for sending projectiles away very quickly. Joy and Kristin introduce the Teach Engineering website. They work with Professor Martha Cyr, Director of K12 Outreach at Worcester Polytechnic Institute. 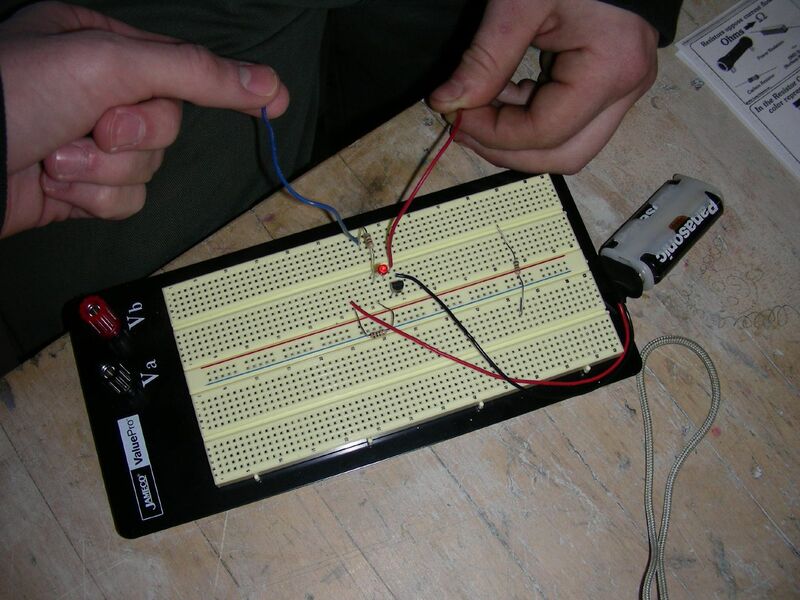 Duxbury High School Seniors Tom and Ryan talk about electricity, Ohm's Law, resistance and capacitance. 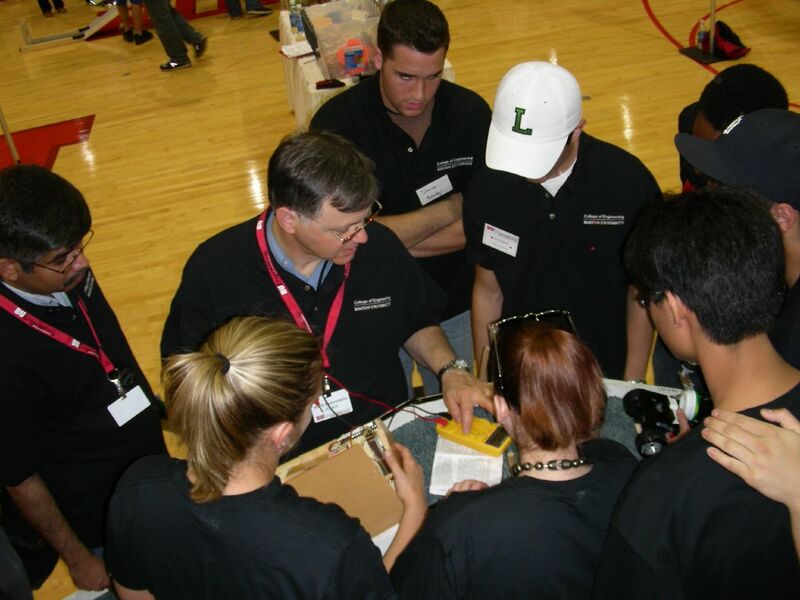 Organizer Mark Horenstien discusses the Boston University College of Engineering Design Competition. He talks about the value of students getting genuine experience with problem solving.